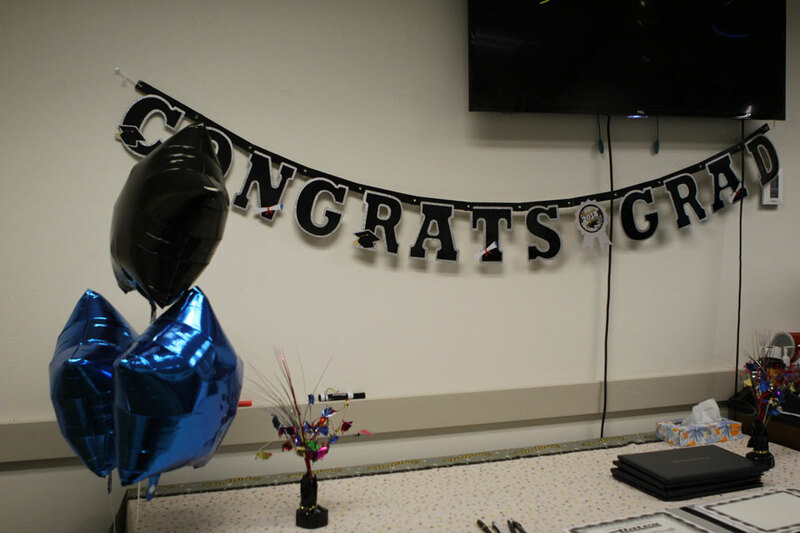 TACOMA – The Tacoma Unit 2 Field Office held a Thinking for a Change (T4C) program graduation. T4C is an integrated cognitive behavioral change program. It incorporates research from cognitive restructuring theory, social skills development and the learning and use of problem solving skills. Each graduate made the commitment & attended a biweekly class for 13 weeks that began in October. Russell Alfaro, a program facilitator, awarded the graduates a certificate for completing all 25 steps of the mandatory program. At the ceremony, each graduate had the chance to speak. Many expressed how much they appreciated the program and how it has helped them moving forward. The community corrections officers and program facilitators were all present to congratulate the participants on their achievement. 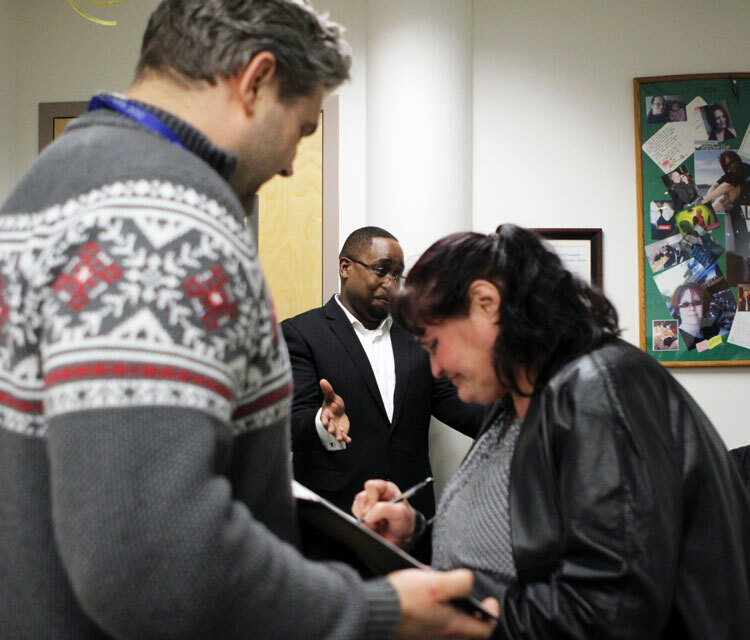 Chris Hansen, an education reentry navigator from Bates Technical College, was also present to honor two graduates who made the commitment to attend the college starting in April. The college partnered with the Department of Corrections six years ago as part of their community outreach plan. The school has a high enrollmet of previously incarcerated students. 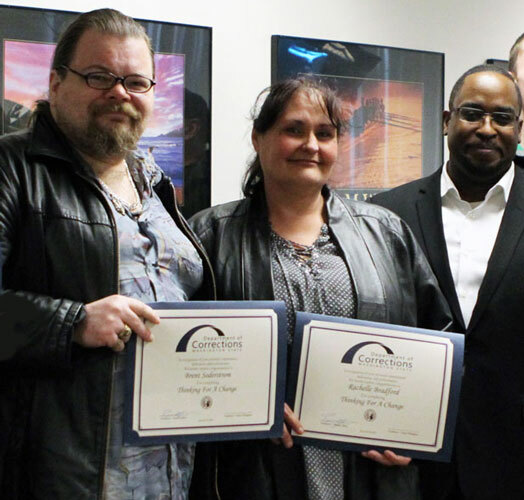 At the beginning of 2018, Bates Technical College decided to award Thinking for a Change participants with school credit in place of a class that teaches similar learning material. It is due to this change that one of the graduates, Kristopher, was able to gain the rest of the credits he needed to complete his high school diploma. Kristopher was just a few credits shy of receiving his high school diploma when he enrolled in the T4C program. Hansen offered Kristopher the opportunity to finish his degree through the program since the class was worth enough credits. After taking a pre-and post-assessment, as well as graduating from the program, he was able to also graduate from high school at the same ceremony. Kristopher is the first participant to do so, but Hansen is certain that there will be more who also benefit. Hansen plans to continue to help those who are eligible to take advantage of this opportunity.